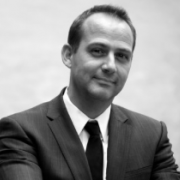 Mikkel B. Rasmussen co-founded ReD Associates and is the director of ReD Associates European practice. The best ideas, according to Mikkel, comes from a genuine curiosity in the real world and a deep exploration into human behavior. His work has led to several disruptive technologies and products in markets such as toys, sports goods and health care. He is a specialist in innovation strategy in both public sector and private organisations and holds a Masters of Science in Economics from Maastricht University as well as a Master in Public Economics from Roskilde University. Mikkel is a well-known keynote speaker and provocateur - reflecting on innovation, business creativity and the practical use of social science delivering hundreds of keynotes around the world. In 2014 he co-wrote the book Moment of Clarity together with Christian Madsbjerg, published by Harvard Business Press.